If you like Hallowe’en, you largely have my Scottish and Irish forbears to thank for popularizing the custom in America. Hallowe’en is a Scottish contraction of All Hallows’ Evening, and dressing in costume, or “guising”, goes back hundreds of years in that country. People would stroll from house to house in disguise to ask for treats in exchange for performing songs and reciting verse. 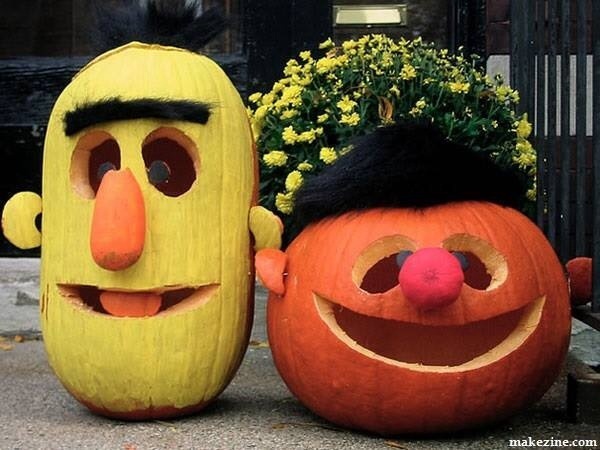 As for carving pumpkins? Sometime long ago in Ireland, a man named Jack wisely hoodwinked the Devil into never being allowed to take his soul. But Jack was far too ornery to get into Heaven, and now he walks the earth unclaimed, with hellfire coal in a hollowed gourd to light his merry, lonely way. May you see Jack of the Lantern tonight in your travels, and may your costume be good enough to disguise you from all the faeries and witches and fallen spirits that roam the earth at this liminal time. And, or course, Hallowe’en is always better with friends!